We can't deny the fact that the iPad is currently the best tablet computer available. Although a good number of leading manufacturers have already come up with their own tablets, it seems like it is hard to topple Apple’s baby. Android 3.0 Honeycomb may have significantly boosted many of the iPad-competitors' chance of succeeding, but a lot of skeptics don't think that it is compelling enough to attract a wide range of consumers. And now that Apple has stepped up its game by releasing the more refined and still drool-worthy iPad 2 with equally drool-worthy applications such as GarageBand and iMovie, Android-based tablets are struggling to keep up. Is it possible to beat the iPad? How do we create an iPad-slaying Android-based tablet computer? Anything is possible, and the iPad can be easily beaten. To do it, manufacturers must work closely with Android/Google developers to create and focus on essential features that the iPad is currently lacking and make a tablet computer that can truly serve as a laptop or netbook replacement. So what are these features? In terms of hardware, some of the latest Android tablets such as the Motorola Xoom and the upcoming Samsung Galaxy Tabs are already equipped with several key features like built-in SD card slot, micro USB port, and HDMI port, which are all absent on the iPad. Of course there is always room for innovation, and Android tablets must continually strive to stay ahead of the game. One of the keys to beating the iPad is software -a software that is polished and is tightly integrated with the hardware. Despite the fact that Android 3.0 (Honeycomb) is loaded with exciting features, it does not offer a more fluid user experience when compared to Apple's iOS. Let us hope future software update aimed at refining Android 3.0 will come sooner rather than later. Now, let us talk about apps. 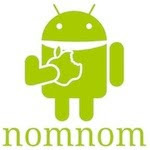 The iPad may already have plenty of applications and is way ahead of Android in terms of number, it is never too late. Developers still have time to create some useful apps that should be pre-installed on every Android tablet. Some of the handy applications that should be included for free are office suite, image editor, and audio/video editors, among others. If possible, they should take advantage of the popularity of Google Chrome web browser by supporting it on the Android platform. Imagine running a full-featured Chrome browser on your tablet with support for apps, extensions, and themes. I believe Android tablets will eventually win the war against Apple's iPad, but some of the things I've mentioned above are keys to achieving victory the faster way. Very interesting stuff you have touched. I think the same that one day Android tablet will beat Ipad completely cuz its marketing has been growing very fast and being popular among the customers.